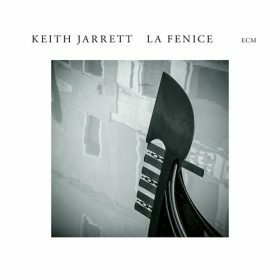 This recording of Keith Jarrett’s extraordinary solo performance at Gran Teatro La Fenice in Venice in July 2006 finds the pianist entering one of Italy’s most famous classical venues and channelling the flow of inspiration to shape something new. In this case, a suite of eight spontaneously created pieces referencing everything from the blues to atonality to heart-touching ballads. This entry was posted in Featured Album and tagged keith jarrett, la fenice.